It has become quite common to come across obituaries for backlinks which repeatedly proclaim that backlinks are no longer important for SEO due to several algorithm updates and changes in search engine optimization. Nothing can be further from the truth as contrary to public perception, link building is alive and thriving. 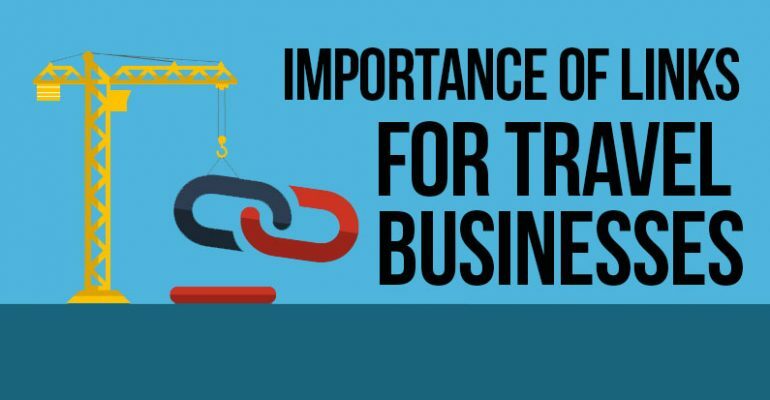 Backlinks remain important for search engine optimization and are still one of the most important factors which play a decisive role in SERP rankings. Travel businesses also rely on SEO for a large chunk of their traffic and backlinks remain as important for travel businesses as they used to be earlier. Social media signals are nowadays playing an increasingly important role in travel SEO, but SERP rankings are still affected by number and quality of backlinks. Travel is one industry which has been disrupted by the advent of the Internet and it has undergone significant change in the last 2 decades with the rise of Online Travel Agencies such as TripAdvisor and Expedia. According to one estimate, TripAdvisor alone accounts for 45% of the total organic traffic for travel-related searches and can be seen on top of most search results. Smaller travel-based businesses have been investing heavily in SEO and for some businesses, this strategy has paid off. High-quality backlinks have been integral to this strategy as no matter how good your content, you can’t get a high SERP rank for your keyword without several high-quality links linking to it. Good and relevant links from highly ranked domains can pass of link juice to your website and get you a higher rank on SERPs. While bad links from spammy sites can also get you a penalty from Google. After penguin update several websites saw their organic search traffic disappear overnight largely due to poor quality links. Panda targeted duplicate content, whereas Penguin punished websites with bad links. Google Disavow tool was introduced in 2012 and few noticed its importance after the launch. This changed with the Penguin update which was rolled out in 2013 and punished websites for bad links. In earlier days of SEO, Google and other search engines frowned upon bad links, but it was rare for a website to lose its rankings due to bad links. Penguin changed this as now websites are routinely removed from SERPs if they have bad links. So, let’s discuss how you can disavow a link/site using the Google Disavow tool and save your website from a penalty. Before discussing how to disavow a link it’s important to discuss which types of links you need to disavow and why. It’s quite difficult to define a good backlink as there is no one size fits all approach when it comes to link building. You may often come across the term “Good Link” or “High Quality link” and must find yourself pondering what are the characteristics of a good link. A good link is from a relevant source and the word relevant in this context means similar or close. So, if you are selling sports equipment online via your e-commerce store, then a link from a respected sports blog is a good one for your site. Whereas a link from a construction equipment maker will not be considered as the one from a relevant source. You must keep the scarcity principle in mind when building backlinks. A good link is almost always quite difficult to get and rare links from high-quality websites such as CNN, NYTimes, or White House, for example, are almost impossible to get for small websites. Links which you can get with little effort are rarely considered to be of high quality such as those which you can get in forums. It’s quite easy to register a profile on a forum and you can leave a link to your website in any thread. Forum links are no longer considered as high-quality ones by search engines. Successive algorithm updates have also highlighted the issue of bad links from other sites which can often lead to a penalty from Google. Webmasters are facing this issue since Panda and Penguin updates which were rolled out by Google a few years ago. s although paid links, low-quality links from sites with no domain authority or spammy links are also considered bad links which negatively affect the position of your webpage on SERPs. In the earlier days of SEO, many webmasters relied on paid links which could be easily bought, but Google has been heavily penalizing sites which use paid links for SEO. Exact match anchor text is also frowned upon by Google nowadays as using too many links with exact match anchor text can also get you a penalty from Google. Relevance equals trust in the eyes of Google and you must always try to get backlinks from sites relevant to your business. If you are selling furniture, then a backlink from an automaker is not relevant to your business and will do you more harm than good. Backlinks from sites which have been penalized by Google are also classified as bad links by veteran SEO practitioners as your site can be penalized in the future for these links. Google wants natural links and any link which may appear to be unnatural can get you a penalty. You can use Google disavow tool to disavow any bad link from a spammy site which you think is negatively affecting your SERP rankings as if left unchecked, these links can also lead to severe penalties from Google. You must be extremely careful when using Google’s disavow tool as it’s been designed to be used by experts who understand SEO. If used by a non-expert, this tool may do more harm than good as the person may end up disavowing good links instead of the spammy ones. Google’s disavow tool allows webmasters to inform about spammy links from unrelated sites which are affecting the SERP rankings of their site. With disavow tool you can instruct Google to not follow the links and instead assign no follow tag to these spammy links which will be no longer used to calculate the ranking of your website on search engine results pages. So, let’s see how you can disavow a link using Google’s disavow tool. Before even starting the disavow process, you must thoroughly examine all the backlinks which your website has and create a backlink profile of your website which will ideally include all the backlinks which are pointing from other sites towards your website. Majestic.com You can get a detailed list of all your backlinks for free from Majestic if you verify your site with them. 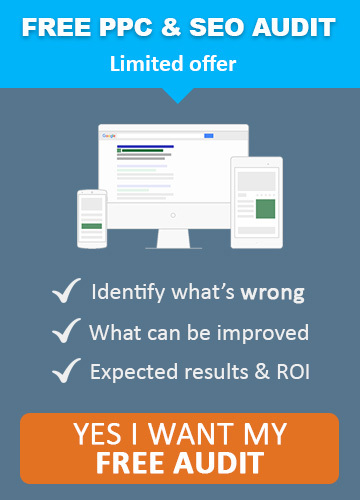 Verifying your site will not take long and it’s worth the effort. Opensiteexplorer.org This is another backlink analysis tool on our list which is a part of Moz and is considered a premier tool for webmasters. It’s not considered as effective as Majestic, but it will give you some links which may not show up in other tools. Ahrefs.com This is a paid option which is worth the investment as Ahrefs is on par with Majestic and Open Site Explorer when it comes to backlink analysis. After getting the list of all backlinks, you will need to create a spreadsheet in MS Excel or Google Docs to further break down these links. Now you need to do a Link Audit of all the backlinks which your site has to identify the problematic backlinks. Link Audit is without any doubt the most difficult part of the disavow process as it can consume a lot of time. It’s not uncommon to spend days and weeks on link audit if the site has thousands of backlinks as you will have to sort out each link in your backlink profile. You can also use several online tools for automating the process of link audit such as Link Detox which can also be connected to your Google Search Console account. Link Detox aggregates data from 25 different sources to create a detailed backlink profile. You can also download a list of your links from Google Search Console which will also show problematic links as identified by the Google search crawlers and will help you in identifying spammy links which are negatively affecting your search rankings. The second step in the disavow process is the manual removal of the links. By now you will have a detailed list of links which you need to remove and must contact the webmasters of the sites from where these links originate and ask them to remove the links. In cases where your requests are unanswered, you will need to submit a reconsideration request to Google asking them to disavow these links. It’s important that you contact webmasters of the concerned site before submitting a reconsideration request as Google will ask you if you’ve already tried to remove these links manually and you must have proof that you tried but were unsuccessful. Your email messages to these webmasters and their replies or lack of a reply will serve as proof for Google that you already tried to remove the links and are submitting a reconsideration request after exhausting all other options. Now you will need to create a disavow file which will include all the links which you were unable to remove manually as reconsideration request is for few links, but if you need to disavow a large number of links then Google asks you to create and submit a disavow file which includes all the spammy links. Notice the “Domain: blackhatseo.com” at the end of this file, this domain: tag tells Google to ignore every link from this domain and must be used with extreme caution. There is a chance that few links from this domain must be useful for your SERP rank and it’s only for extreme situations when you are sure that all the links from a specific domain are spammy. Once your disavow file is ready all you need to do is to upload this file to the Google Disavow Tool. Google will assign an invisible nofollow tag to the links specified in disavow file and these links will no longer count for calculating your SERP rankings. It may take some time and you will need to submit a reconsideration request if you have already been penalized by Google for spammy links. You will receive a reply from Google for your reconsideration request within 2 to 4 weeks although your site will only recover slowly from the penalties imposed on it due to bad links. Your recovery will largely depend on the quality of your remaining links. You don’t need to include links with nofollow tag in the disavow file as these links are not counted towards your SERP rankings. Disavowed links will still be visible in your link profile within the Google Search Console, but as mentioned above they will not be counted for calculating your website’s rank on Google’s search engine results pages or SERPs. Bing also has a similar procedure for disavowing links and you can submit the same disavow file to Bing without making any change. 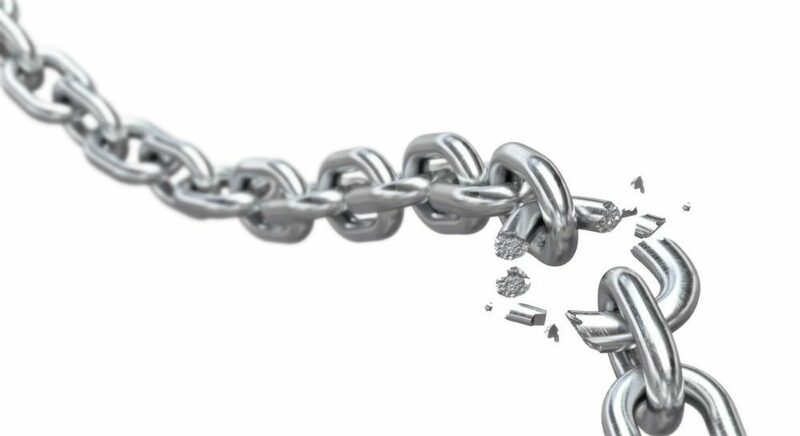 Disavowing a link is a natural part of link building process as it allows webmasters greater control on the type of links which are pointing to your domain. Essentially it allows you to own your link profile. People rarely used Google’s disavow tool until the advent of Penguin and its later versions, but severe penalties from Google forced many webmasters to disavow bad and spammy links which initially lead to these penalties. You can improve the image of your website in Google’s eye by disavowing spammy links as they may have worked a decade ago, but now paid links, or those from spammy sites will do you no good. Over the years Google has adopted an increasingly harsh approach towards spammy link building tactics and you must avoid bad links at any cost as even a few such links can destroy your hard work of several years by getting your website penalized. We have tried to cover the disavow process in detail in this article and hope that this will help our readers in disavowing spammy links without much effort.